The big power outage at the Atlanta airport cost Delta as much as $50 million -- and the CEO wants the money back. CEO Ed Bastian told The Atlanta Journal-Constitution that he wants the airport or Georgia Power to reimburse the airline. 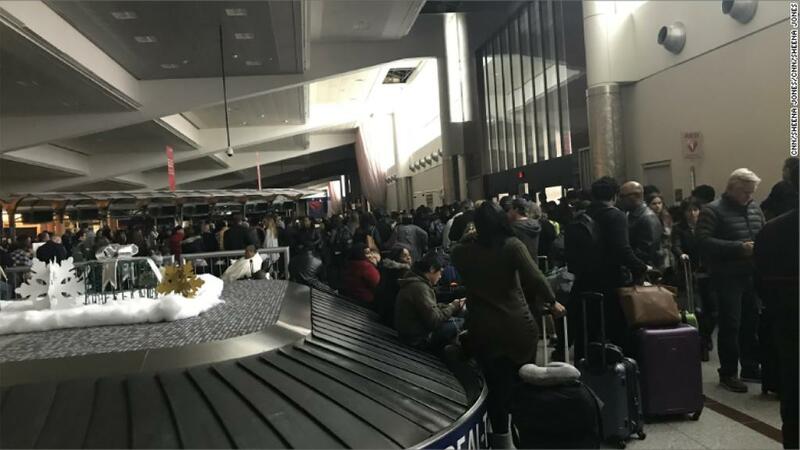 The blackout crippled the world's busiest airport on Sunday and forced the cancellation of more than 1,000 flights, including hundreds of Delta flights. "I don't know whose responsibility it is between the airport and Georgia Power, but we're going to have conversations with both of them," Bastian told the newspaper on Tuesday. He estimated Delta may have lost $25 million to $50 million in revenue. Delta confirmed Bastian's comments to CNNMoney on Wednesday. Mayor Kasim Reed has said the outage started with a fire in a Georgia Power underground electrical facility. The outage crippled the airport for nearly 11 hours. Thousands of travelers were stuck in dark terminals or stranded on the tarmac. Georgia Power did not respond directly to Bastian's remarks on reimbursement but told CNNMoney that "we cannot and do not guarantee uninterrupted electric power service." "Georgia Power has served the Atlanta airport for nearly 100 years, with regular upgrades and investments in the system to ensure reliability, and an incident like this has never occurred," spokeswoman Holly Crawford said. She said the utility apologizes for the inconvenience to travelers and "our main focus is to ensure this never happens again." The airport did not immediately respond to a request for comment. --CNN's Devon M. Sayers contributed to this story.